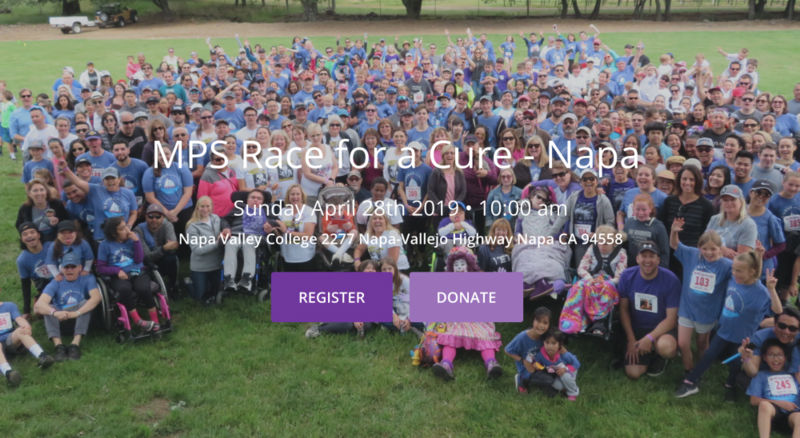 The National MPS Society will host a timed 5K Run and Memorial Walk. Start time is 10:00 am for the 5k run. The 1 mile memorial walk will begin at 10:15 am and will be open throughout the morning.The run will take place on a paved walkway throughout Napa Valley College. Picnic! Carnival! Drawing! Prizes! Auction! Live music! Entertainment from Violet the Clown will follow the awards ceremony! Pre-registration is $25.00 per 5K timed runner and lunch. Family of four registration with lunch is available for $80. THANK YOU TO OUR 2019 NATIONAL WALK/RUN SPONSORS. THESE INCLUDE: BIOMARIN, SANOFI-GENZYME, SANGAMO AND TAKEDA.